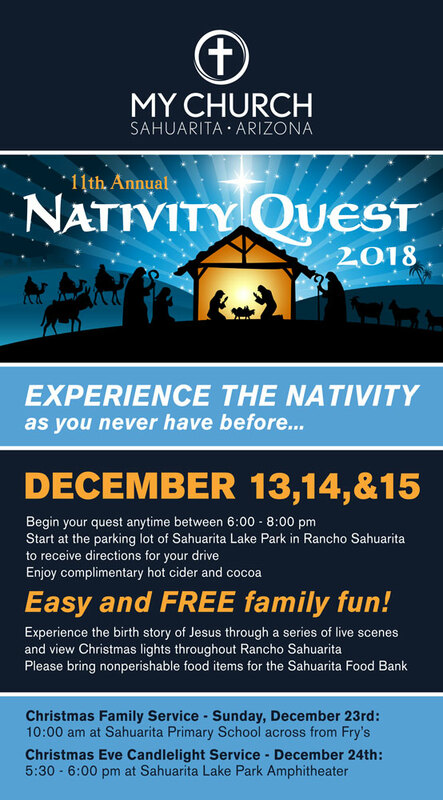 Experience the nativity like you never have before! Easy & FREE family fun! WHERE: Start in the parking lot of Sahuarita Lake Park in Rancho Sahuarita. You will receive directions for your drive here. **Enjoy cider and hot chocolate at the start and a gift from MY CHURCH to you at the end! COST: FREE ! Please bring food items for the Green Valley Food Bank.